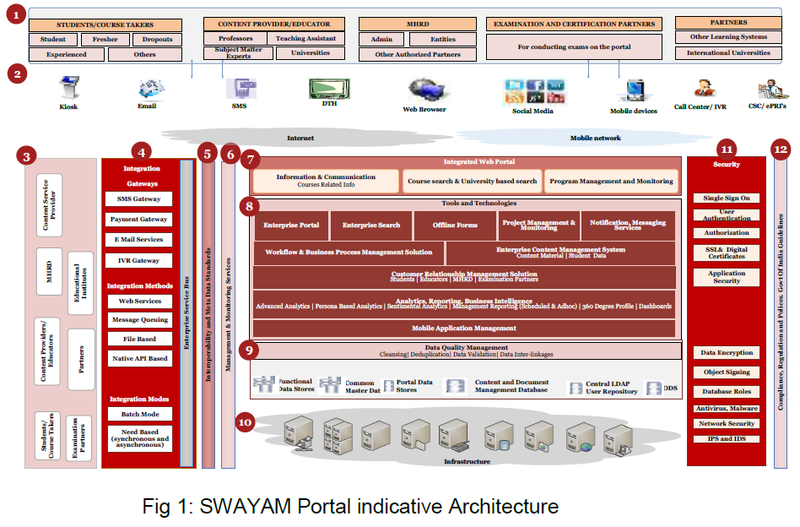 To give a sense of the malaise, here are indicative architecture diagrams from the NCSP and SWAYAM RFPs. Try and spot the differences. You don’t have to be an expert to recognize copy/paste. A simple Google search is enough to lay bare the blatant plagiarism. 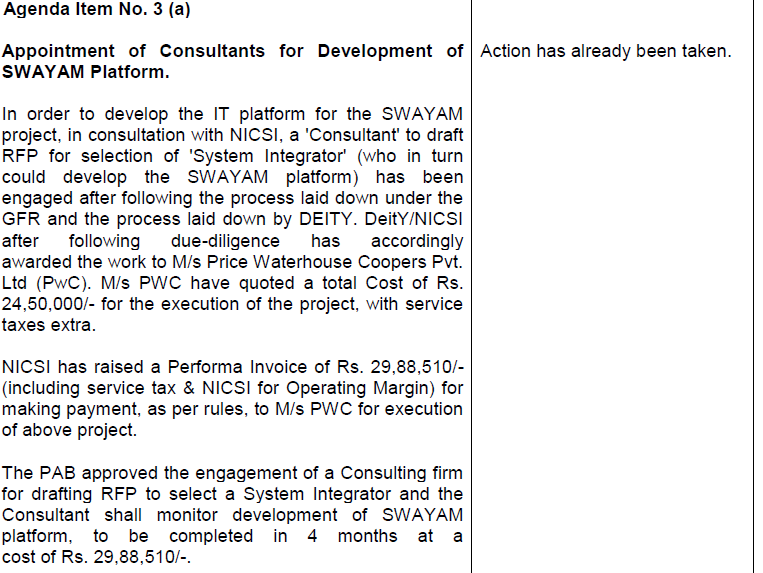 The consultants for this RFP in turn may have been inspired by others across ministries and their appointed consultants. But there are deeper issues here. Firstly, the very respected Pricewaterhouse Coopers (PwC) has been hired as the consultant to draft the RFP, select the vendor and monitor the implementation. It is possible they acted in similar capacities for one or more RFP consultations. To find PwC indulging in cheap copy and paste goes against the very reason they were selected. Second. PWC is not doing this free of cost. The entire exercise is expected to cost MHRD about 30 lakhs with NICSI also getting a slice. With the efficiency that comes from copy and paste, one would think the effort would be far below proposed. Third. It may also be okay, to copy and paste certain generic specifications. 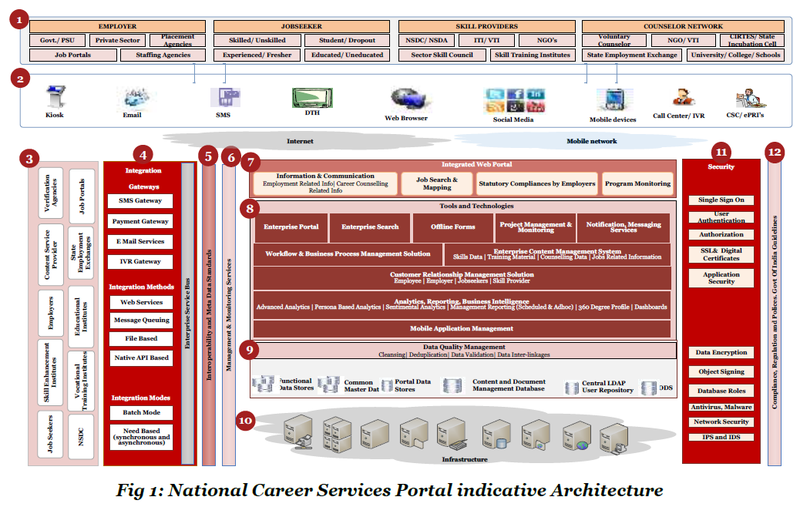 But would you propose the same technical architecture for two very different contexts? Worse, would you ignore the advances in technology over the past two (or more) years and be content with copying older ideas? Fourth. Even while doing a copy and paste job, would you at least take care not to repeat earlier mistakes made by the earlier authors. The mere act of a copy and paste indicates an intellectual vacuum. When done improperly, it indicates the complete absence of intellect and intention. Take for example the following diagram (look at the circled phrase). Laughably, see how Sentiment Analytics, the subject of much excitement in the recent past has now become Sentimental Analytics! Fifth. It is not very clear if PWC was the perpetrator of the earlier RFP or other similar ones in the past. And whether they were paid similar astronomical sums for their obvious consulting expertise to copy and paste. Sixth. While the government can take a hands off position and blame PWC for these acts of omission, there is no way be not held accountable for their choice of consultant, for their inadequate review process and for other errors of their act of commission. The MHRD must explain how this travesty has occurred with full internal and vendor accountability. It is scary that we are going to invest so much public money and effort in an initiative which seems so flawed from the word go. Seventh. 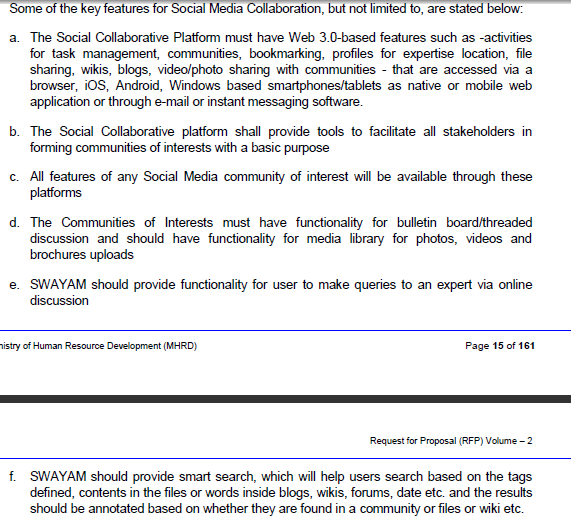 I have not yet even talked about the actual content of the RFP itself. It is so obviously incompetent that I can only sigh with frustration at this phenomenal display of MOOC and technology expertise. 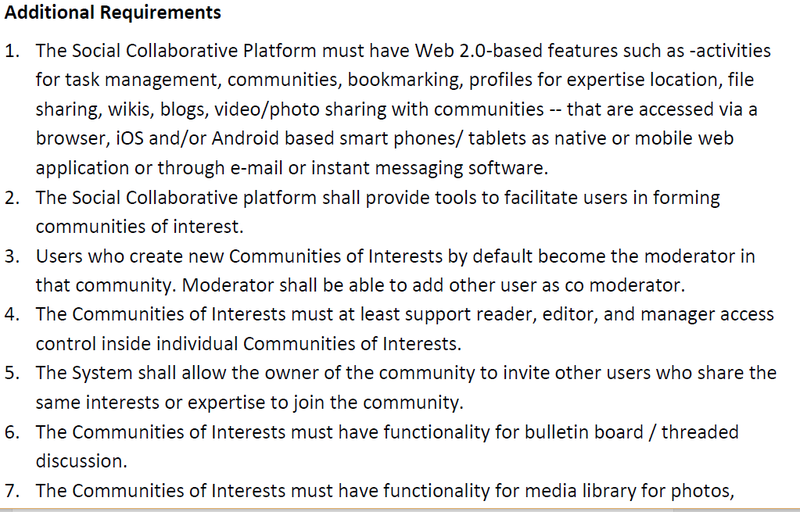 And I am not talking about the Microservices vs. SoA kind of higher level technological debates either – just very simple things that I daresay most MOOC technology people would be happy to point out are missing, erroneous or irrelevant. It would be superb to place the panel of experts who edited or wrote the original version of the RFPs in a public debate, asking them to substantiate their proposals. More galling than any other thing is the obviously brazen attitude that anything they do will pass public scrutiny. There is perhaps a babu-consultant-OEM racket in here which I hope someone takes the pain to uncover. Perhaps they genuinely believe we are idiots who will not really care. I sure hope we are not.